To purchase furniture from Pittsburgh Furniture Leasing and Sales, click the button above to visit our sales website and browse the online catalog. 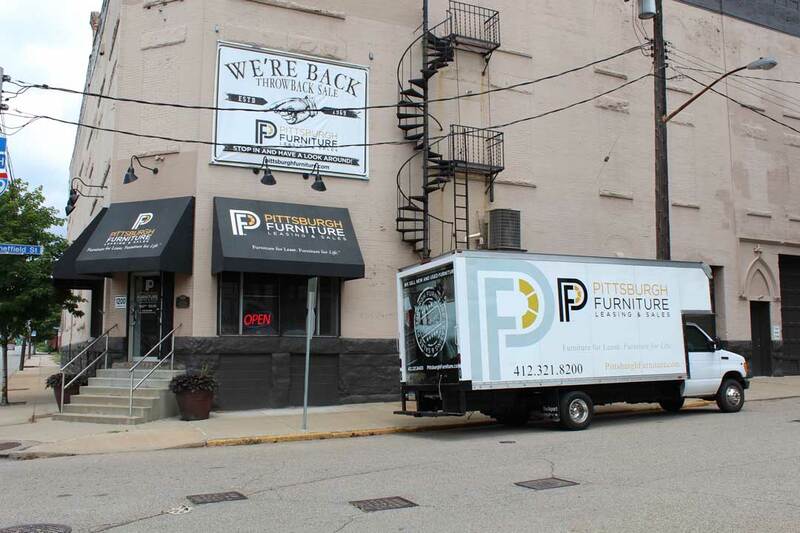 Pittsburgh Furniture does not just offer leasing packages; we also sell both new and previously leased furniture. We always have an extensive inventory of living rooms, dining room sets, and bedroom furniture at our vast, multi-level warehouse – all in stock and available for immediate pickup or delivery. Before purchasing from another area store, just come in and talk with one of our friendly, knowledgeable team members about your needs. You’ll find that we have a lot of the very same furniture, including some unique options, and, on many things, we’ll save you money for the same item. Can’t find what you are looking for in our inventory? We have relationships with the leading furniture manufacturers, with access to an endless variety of furniture styles to suit almost any taste or decor. To purchase furniture from Pittsburgh Furniture Leasing and Sales, click the button below to visit our sales website and browse the online catalog.